Internationalization: do government programs work? In the IntradeBook Blog we comment on international trade trends and concepts. In many countries there are varied programs of support to internationalization to stimulate the exports of products. These “internationalization” programs are sponsored by governments, but also organized by private institutions or associations, each competing with the other or, worse, creating duplicate jobs. This is partly explained, because usually people working in international trade centers are able to attend international events and trips and it is interesting. There are so many business roundtables, international fairs, training programs, theme trips and many other programs, dispersed actions. And many of these programs are designed and run without outcome planning that can attest to effectiveness in the end. Particularly in Latin America and the Caribbean, which lack resources in the most diverse social areas, any allocated resources should of course have indicators of results. Do not just present event photographs or “Canton Fair” tours. For more than 30 years these “internationalization” programs have been created, recreated, copied and “launched” and the results remain the same. There is no way to do the same things and expect different results. In Brazil, for example, there are 16 million companies and only 27,057 exported in 2017. That is, only 1 in each group of 591 companies managed to export. And if we analyze the Micro and Small Business only 1 in every 1,805 companies can export. However, in a survey conducted by FIESP – Federation of Industry of São Paulo, 86% of companies would like to export. The problem is that these “internationalization” programs tackle the issue with particularities – in parts. They do not seek to resolve the issue completely and objectively, how it should be. Every export, or import, has three basic problems to solve: market, routines, and logistics. It is not enough that we solve only one of them. Either we solve the three or we do not reach the objective. We at INTRADEBOOK have developed an innovative and disruptive platform that solves the market, routines and logistics in one place. 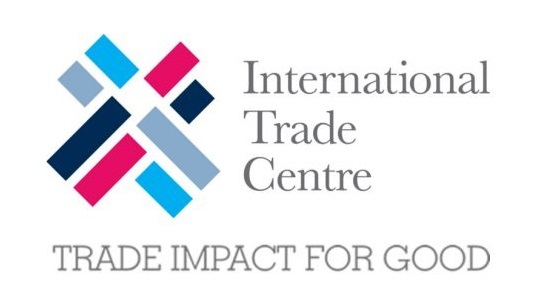 And by cooperation agreement with ITC – International Trade Centre the basic version of the platform is free, precisely to contribute to the development of world trade – with results. © ALL RIGHTS RESERVED FOR INTRADEBOOK LTDA.